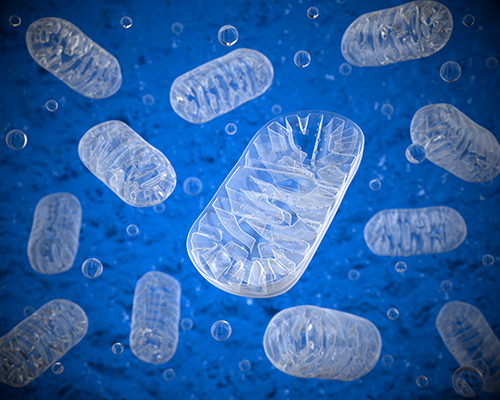 A new study published on August 23 in JAMA Psychiatry has revealed that changes in the mitochondrial genome may be an underlying cause of autism spectrum disorder. The researchers reported a strong association between ancient mitochondrial DNA (mtDNA) variants and ASD. “What we discovered is that a very significant proportion of the risk of developing autism correlates with the mitochondrial DNA variants, not the nuclear variants, so that implies then that mitochondrial energetics might be the cause, or a major factor, in the etiology of this disease,” senior study author Douglas Wallace, Ph.D., told GEN. Wallace is the director of the Center for Mitochondrial and Epigenomic Medicine at The Children’s Hospital of Philadelphia Research Institute. Ancient mtDNA variants, called haplogroups, are genetic variants that arose thousands of years ago when humans migrated from Africa into the rest of the world. The variants altered energy metabolism in subtle ways, allowing people to adapt and live in new environments, and have since been inherited maternally. To determine the relationship between mtDNA haplogroups and ASD, researchers analyzed data from the Autism Genetic Resource Exchange for 933 families, including 1624 patients with ASD and 2417 healthy parents and siblings. Of those with autism, 80% were boys and 20% girls. Most participants had mtDNA belonging to European origin and, to a lesser extent, Asian, Native American, and African. Each haplogroup was compared with the most common European haplogroup, HHV. When compared with HHV, European haplogroups I, J, K, O-X, T, and U as well as Asian and Native American haplogroups A and M were associated with ASD, having odds ratios between 1.55 (95% CI, 1.16–2.06) and 2.18 (95% CI, 1.59–3) (adjusted P<0.4). “The reason we think this work is so important is it strongly signals that indeed it is mitochondrial energy deficiency that’s associated with [ASD],” Wallace said. This study complements a related journal article published last fall in PLOS Genetics, reporting an association between ASD and heteroplasmic mutations in mtDNA. Because a cell contains thousands of copies of the mitochondrial genome, a mutation in mtDNA can give rise to a mixture of mutant and normal mtDNA, or heteroplasmic mutations. Unlike mtDNA haplogroup variations, heteroplasmic mutations are variations that have recently entered the mitochondrial genome. Senior author of the study published last fall and associate professor of nutritional sciences at Cornell University Zhenglong Gu, Ph.D., told GEN the study published today was “very interesting” and the findings could lead people to take notice of the mitochondrial genome, an aspect of genetics he said people tend to miss. Wallace and his team are already working on the next steps to exploring mitochondrial dysfunction as the etiology of ASD. They have made mouse lines that have subtle mtDNA mutations and defects.